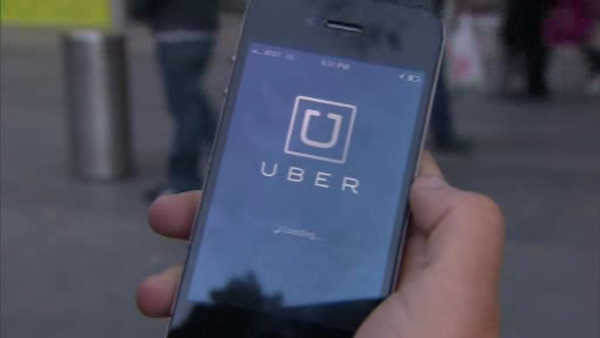 LONG ISLAND CITY, Queens (WABC) -- Hundreds of Uber drivers gathered Monday for a protest against the company's price cuts outside Uber headquarters in Long Island City, Queens. This comes after Uber cut its fares by 15 percent. The company says it would mean more business for drivers, even if they make less money for each ride. Uber drivers tell Eyewitness News they are considering going on strike and shutting off their phones for 24 hours, which would effectively shut down the service. With the rate cut, Uber's base fare goes from $3 to $2.55. The per mile rate goes from $2.15 to $1.75. The per minute rate drops from $.40 to $.30. And the minimum fare drops from $8 to $7. A similar price cut 18 months ago, Uber officials say, prompted this new cut. "The demand for Uber went up as it became more affordable and available to more people. At the same time driver earnings went up also because the time between trips condensed," said Josh Mohrer, Uber General Manager. "So far the price cut results we've seen for drivers have been promising: over this past weekend drivers spent 39% less time without a fare and as a result saw a 20% increase in hourly earnings compared to two weekends before. This matches what happened the last time we reduced prices in New York; idle time decreased and net driver earnings increased. We expect this positive trend to continue, but if for any reason the price cuts are not giving drivers more business and better earnings, we will consider changing them as we have in other cities. Price changes need to work for drivers." Over the weekend, it was reported that Lyft would also slash their fares - the only source of income for drivers. "Uber, Lyft cutting rates, other App-based car services charge as low as $5. Now we see the media asking questions about lowering taxi and greencab metered fares. No driver wins this bidding war. What's being auctioned off is their livelihoods and that's unacceptable. It's a race to the bottom," said Bhairavi Desai of New York Taxi Workers Alliance which includes drivers across all the sectors, including Uber.